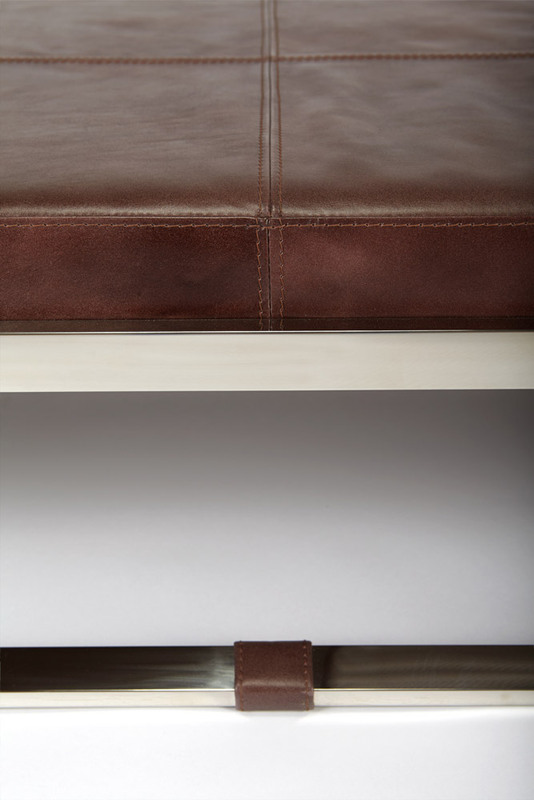 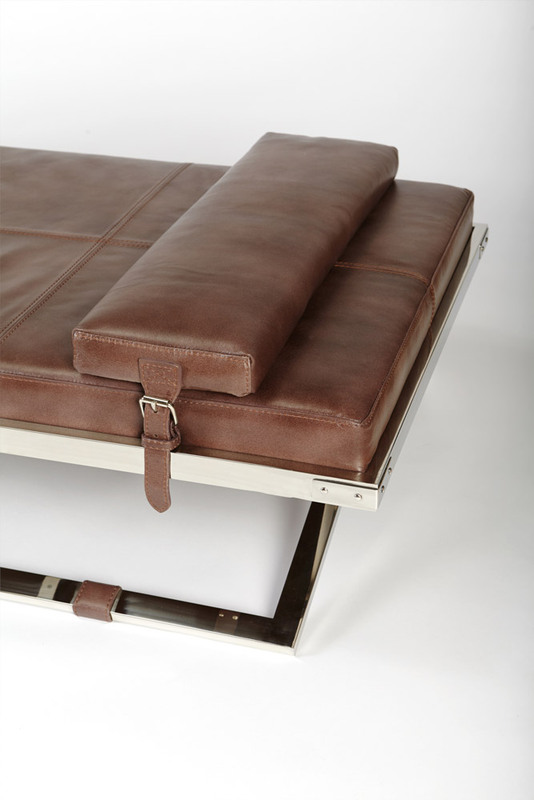 Polished stainless steel frame with dark brown / cow tan leather. 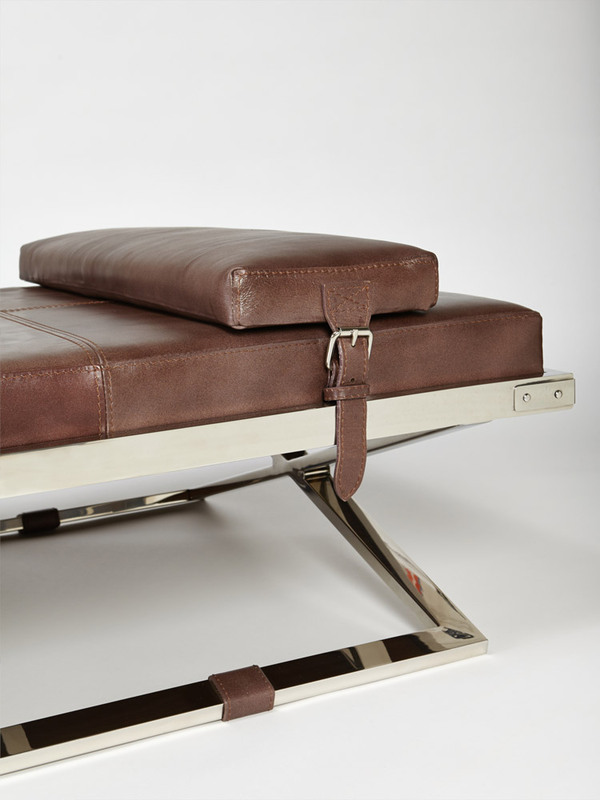 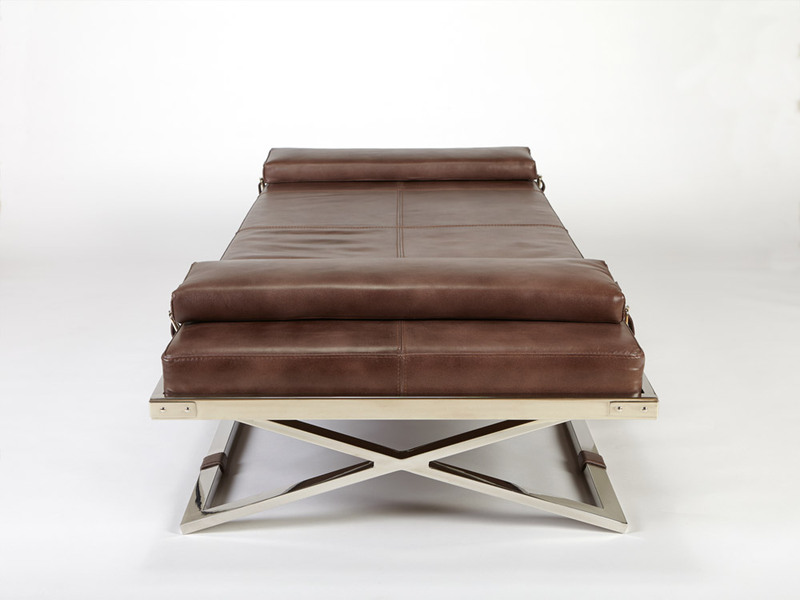 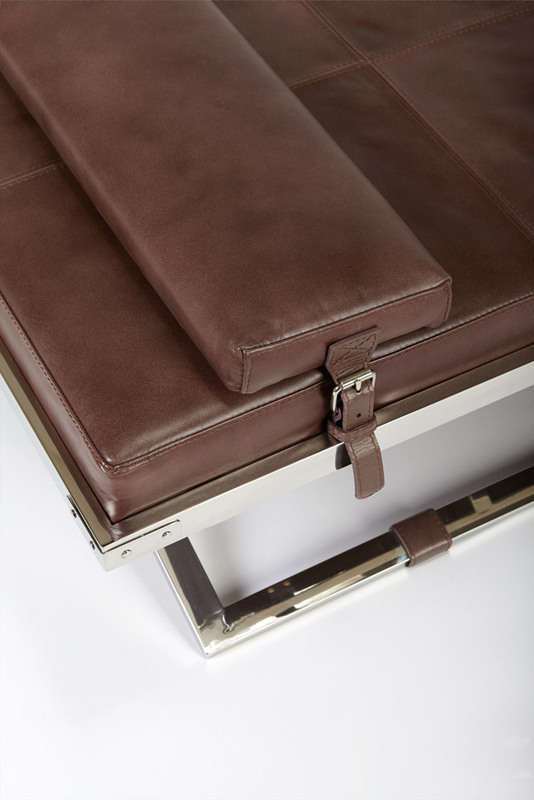 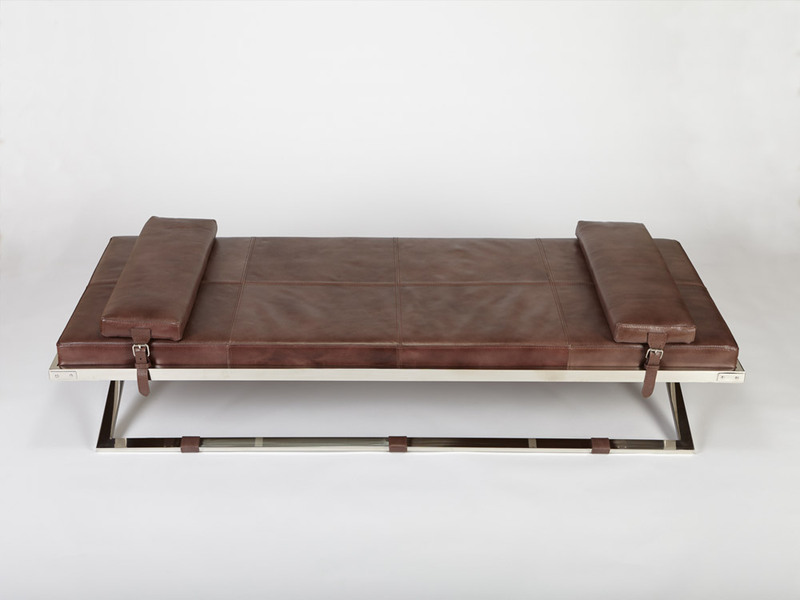 The perfect place to allow your deepest secrets out into the light of day, the Brando Day Bed will find favor far beyond the inner circle of renowned psychoanalysts. 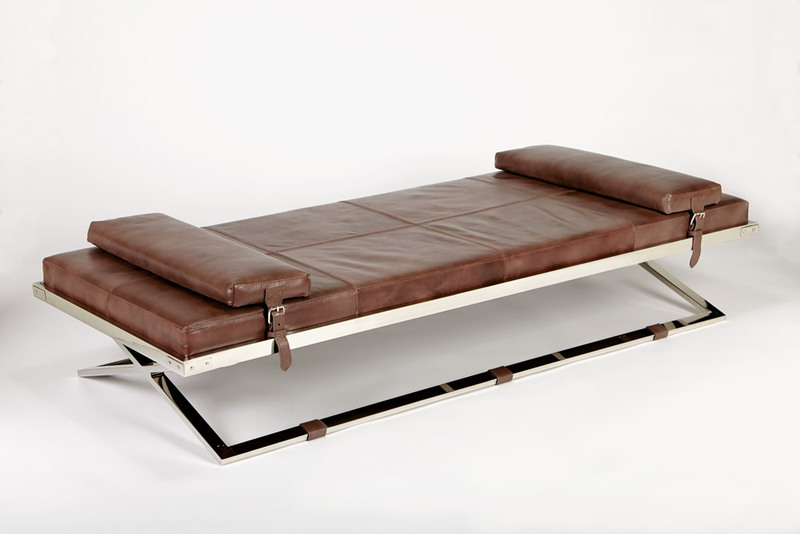 What happens on the day bed, stays on the day bed.